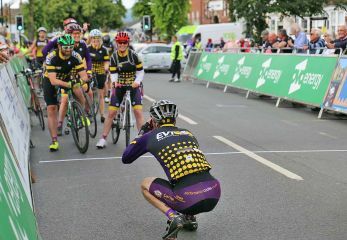 Evesham Vale Triathletes is a BTF affiliated club which aims to promote, encourage and develop the sport of Triathlon in Evesham and the surrounding areas. Maybe you've heard about triathlon from someone at work or caught a glimpse of it on the TV and now you're wondering what it's all about? All triathlons start with a swim, which is followed by a bike ride and ends with a run. You'll race against the clock which starts with the swim and stops when you cross the finish line after the run. 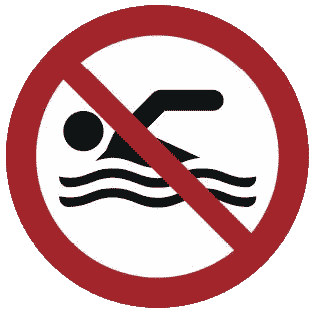 Will take place in a swimming pool or open water, such as a lake or the sea, and if you're taking part in an Open Water event you will need a wetsuit. 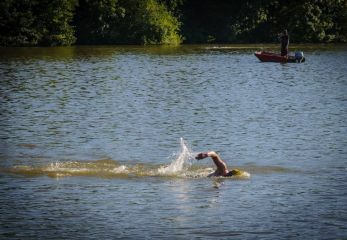 Many local triathlon clubs have access to a lake where you can practice. Bike and Helmets are essential bits of kit, but as long as the bike’s been serviced and is road worthy you can use it. Most races are on roads open to other traffic. The bike route on your race will be signposted and have marshals to help direct you. Shoes are the most important part of your running equipment, and it is worth making sure your trainers fit and are comfortable. There are usually drinks stations on the run route, and again the route will be signposted and have marshals. Birdseye Sports is Evesham's specialist sports shop, providing sports equipment and apparel for a wide range of sports. The national governing body for Triathlon, Aquathlon and Duathlon in Great Britain.